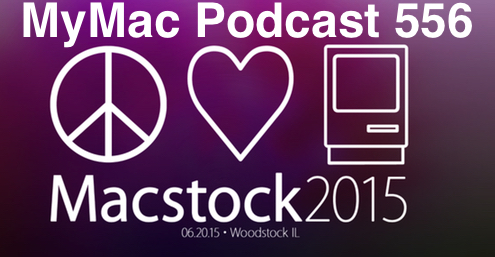 Because we haven’t talked about it enough, Gaz and Guy devote the entire second section of the show to the Macstock Conference and Expo which is taking place on June 20th in Woodstock, Illinois. This is followed by them also talking about the Midwest Mac BBQ taking place on the same day. They MUST be sick or something. Hang on a moment…they were! However in a moment of lucidity, they’ve included a great recording of Gaz’s daughter Sarah singing at the end of the show. In case you get this bug too. Remember how last week it was a short show? This week, not so much. Guy really likes Photos from OS X 10.10.3, but Gaz hasn’t yet pulled the trigger. But Gaz HAS seen an Apple Watch and Guy hasn’t which makes him a jealous boy. They also talk about the Star Wars movies now in iTunes, MacBooks, and how PC sales seem to keep falling as Mac sales go up. Weird. Guy’s App Pick : Tomb Raider by Feral Interactive. $39.99 on the Mac App Store though I picked it up for half price during a special. People’s Pick: Allister Jenks: Oh, and no people’s pick? I don’t recall hearing my mention of MindNode. 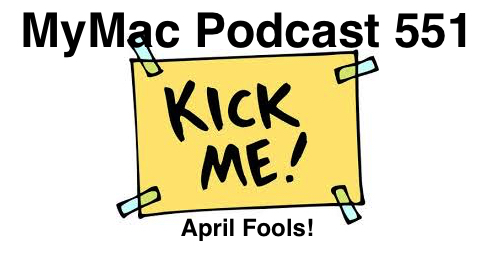 A short show this week recorded early (actually on April Fools day) with not much going on. Guy helps his brother Bill, the Maltese Cube script is complete, and Mike Potter of the For Mac Eyes Only podcast asks Guy to possibly put together a talk for a mini-conference while he’s at the Mid West Mac BBQ in June. WHAT was he thinking? Gaz and Guy are doing Allison Sheridan’s NosillaCast Podcast for her this week so we’re bringing you something special! 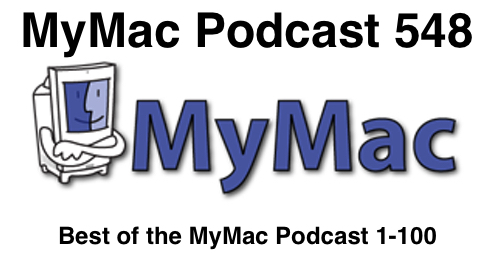 It’s the Best of the MyMac Podcast shows 1-100 and there’s some great stuff here. 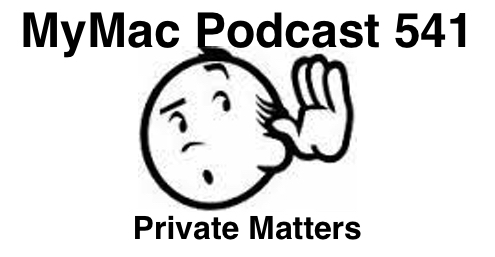 There’s the original MyMac Podcast theme, Tim and Chad talking about the OTHER podcast that has MyMac in its name, also them talking about the Motorola ROKR phone, and Sgt Perry makes his first appearance insisting Mac users install Window XP without protection. 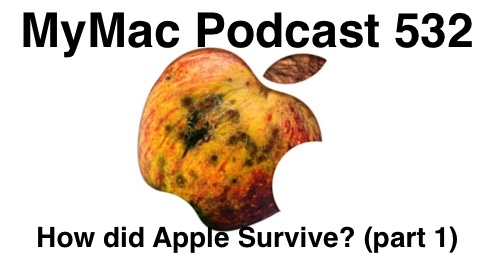 After that it’s Tim and Chad’s interview with Dr. Gil Amelio former CEO of Apple. 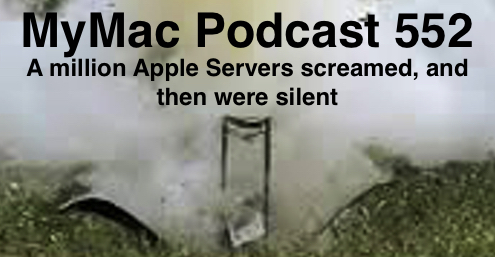 In the last segment we’ve got an early bumper by David Cohen, one of the last Dashboard Minutes by Guy, John Parr singing about what makes the Mac great for him, Tim and Guy alive at the Grand Rapids Apple Store, and lastly a Dashboard Minute with Guy (not surprisingly) screwing up. Fun show this week if a little obsessed with owls. Guy plays with Photos, Gaz plays records…what? 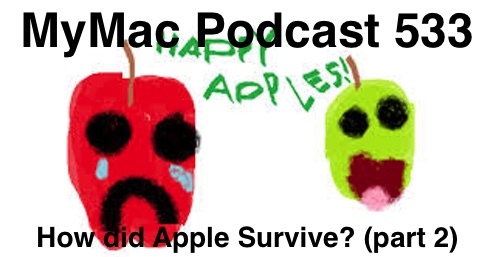 Then they discuss the March 9th Apple event which should already be over by the time you hear this. Also Microsoft’s Office for Mac 2016 and why Java isn’t good for you. Don’t believe us? Just Ask. Where to get your owl groove on! Gaz’s Pick: Blackmagic Disc Speed Test. Yep finally used the App and have been using it to test the speed of disks when connected to different ports USB etc. It’s FREE. All sorts of results from 30MB over USB2 to 100MB on USB3 pretty much the same as the internal data doubler disk I added, to my SSD internal at over 500MB. 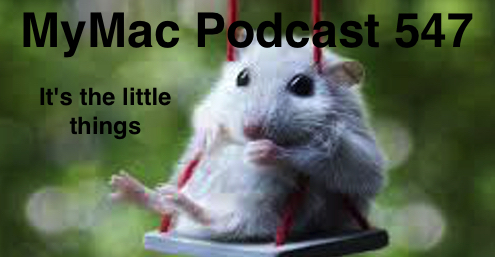 Both the GMen are sad about the death of Leonard Nimoy and dedicate this podcast to his memory. More stuff about the Maltese Cube, Guy’s son Peter is an extra on House of Cards, Gaz’s mail is still messed up, and Apple is opening two new green data centers in Europe! OK, a bit of an eclectic mix but that’s what we do. Guy’s App Pick: Space Miner Platinum Edition By Venan Entertainment, Inc. $3.99. No stupid in-app purchases, no fighting to get through really hard levels to avoid spending more money, straightforward fun 2-D space shoot-em-up. Gaz’s Pick: My girls have been using it a lot, and although some podcast functionality have been taken away Garageband is still a wonderfully powerful mini audio studio App. Apple have started to interlink the interface with Logic Pro, I hope this isn’t a process to get rid of one or the other, I hope and think it’s just a clever way of encouraging people to be able t easily make the move from one the the other. We’re doing the NosillaCast Podcast for Allison on the 15th of March! How will it go? Anyone’s guess, but the smart money is on funny train-wreck. Apple’s instructions for the iBook Store still confuses Guy, but what doesn’t? Gas is super excited about the new Photos app still. 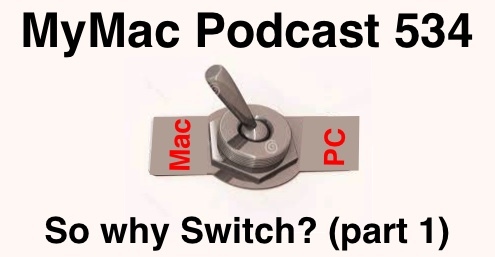 Somehow or another a discussion off air about Captain Scarlett and the Mysterions leads to an on-air talk about the rumored Apple iCar or whatever the heck people are calling non-existent products from Apple these days. Captain Scarlett and the Mysterions! Guy’s App Pick : Audio Converter Pro 6.99. Great app for converting audio from one format to another. I needed it to convert a bunch of MP3s/ AACs to Apple’s CAF format for inclusion into GarageBand. Drag and drop simplicity. I’m sure there’s other free ways to do the same thing, but I had over 500 files to do it with and didn’t want to do them one at a time. Gaz gets his OWC Thunderdock and Guy rambles nearly incoherently (like we could tell the difference) of trying to get his book into Apple’s iBook Store. Amazon has it but it’s so easy that it isn’t like it’s THAT big of an accomplishment. Gaz talks about how he’s looking forward to the new Photo’s app from Apple and how he’s getting ready for it. Plus all the usual insanity you might expect from the GMen. Probably something like 3 years ago I was looking for something to help me log the time I take on client tasks. Something I could easily use to help populate timesheets that my clients always need me to fill out. I found https://toggl.com and I’ve been using it since. 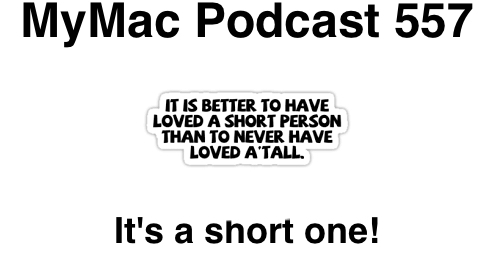 MyMac Podcast 543: What if Steve Jobs had never left Apple? 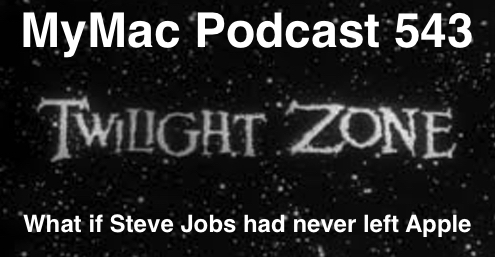 Gaz is away and James Turner jumps into the mix to discuss with Guy what might have been the outcome if Steve Jobs hadn’t left Apple back in 1985. Oh, and Guy talks about being old. Guy’s App Pick : Pages for the Mac. The application not the iCloud version. People’s Pick: Serenak Assassin. My daughter just bought Framed, it is a comic strip puzzle game – rearrange the page to get the protagonist out alive. £2.99 UK (no IAPs) Novel and clever. Gaz and Guy are in rare form this time around…or maybe not, who can tell? They go into some of the buzz surrounding various governments talking about safe keys to private messaging because we all know that there’s no way if they could do it that no one else could…right? Right? People’s Pick: Allister Jenks Enter MailSteward. I pointed it at my four email accounts that are configured in OS X/Mail and said get me everything before 2007. Done. “I found 147 emails, 32 duplicates.” And there they were. Listable, searchable and looking like real email again. Peter Jackson couldn’t do it, Tolkien himself couldn’t do it, but Microsoft could and did. They stopped the Hobbits…temporarily anyway. 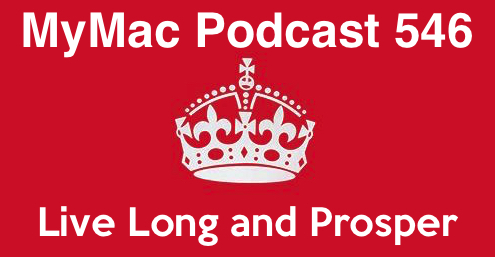 Guy and Gaz finish their discussion on the best time to buy Apple stuff and so much more. Gaz’s Pick: Diptic both in the Mac and IOS App stores, basically create one image from multiple images within a set of frames. £0.79 with in app purchases for IOS not required and not bad prices to be honest. This is the podcast that has had the media going on about the re-birth of podcasting. Apparently it was the fastest growing podcast on iTunes ever. 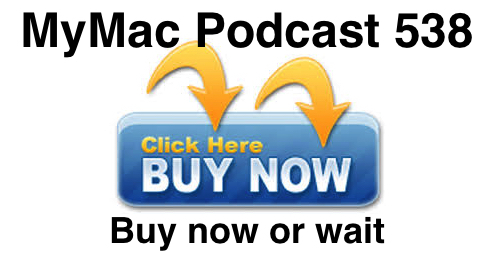 MyMac Podcast 538: Buy it now or wait? With the holidays firmly in the rear mirror, Gaz and Guy are back to their usual shenanigans. This time they discuss the best time to buy that new shiny iPod or iOS device. Guy’s App Pick : iFiles by Imagam. $3.99 at the iOS App Store. Supports a lot of different Cloud services including DropBox, Google Drive, iCloud, and whatever the heck Microsoft is calling their cloud service this week. People’s Pick: Andrew Dickinson Hopstop iOS app. Perfect for transportation in most major US cities. Allison mentioned on Nosillacast as well. So while Gaz is off spending time with his family, Karl Madden from the Mac & Forth Podcast was kind enough to fill in much to his later regret. 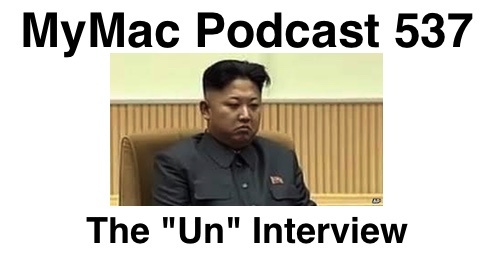 They talk about their holidays,the Console Christmas hacks, and Kim Jong Un the Glorious Leader of the Democratic People’s Republic of Korea or as we more commonly know it as…the bat&*#$ crazy Korea. Oh and Guy calls hackers bad names because he can. Minbox.com – great free to use send unlimited size files (ok so Mail can do that now on Yosemite.. but I don’t like or use Mail) Copy.com (Dropbox type service that gives you a lot more space for free). The charge station I just got for review… awesome item http://bit.ly/1rFONWL. Skype – not new, not cool, but what would we do without it? My favourite podcast catchers Downcast on iOS and Podkicker on Android (both simple and elegant and do exactly what I want). Not much of a games guy but I just love Hillclimb racer… silly, no need to use the IAPs and has that “one more try” factor. 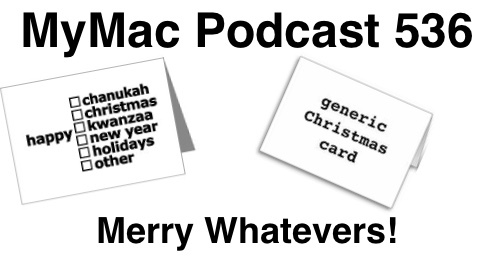 MyMac Podcast 536: Merry Whatevers or BAAA Humbug! It’s Christmas (or name your preferred holiday title here) and the GMen are grateful for your continued support and downloads. It’s makes them confused but regardless they do appreciate it. All the usual stuff, plus Christmas tales from years past so enjoy! Troy Muller: Just picked up ProCam 2 to try my hand at some more serious camera settings with the ability to save in TIFF format. My intention is to be able to enlarge photos for printing without losing too much detail. I had the first ProCam, which I kind of treated just as a novelty really, but this new version has a lot more to keep me interested. 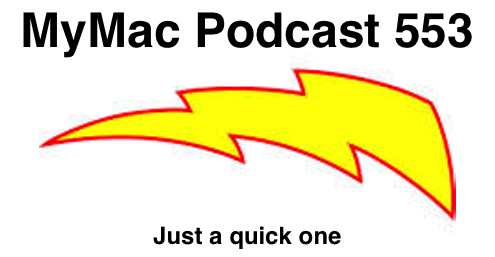 Can you believe that nearly 5 years ago, Gaz and Guy started their version of the MyMac Podcast! Can you believe that Tim hasn’t wrestled away the show back from? We sure can’t. However it wouldn’t be a MyMac anniversary show without at least SOMETHING going wrong and sure enough, Guy’s SoundBoard program is somehow hosed. Didn’t stop the GMen though as they finished the conversation they started last week about PC to Mac switchers. Don’t forget about their Bumper contest with as yet undefined prizes! Or as yet undefined length! Gaz’s Pick: Insanity! particularly app(lly) named for this show. People’s pick: VainGlory Fantastic game: 3vs3. Was featured in the iPhone keynote. Graphics are terrific. Free to play. A quiet week filled with no drama beside house burglaries, busted MacBook Pros, and Uni’s that want to close down schools. 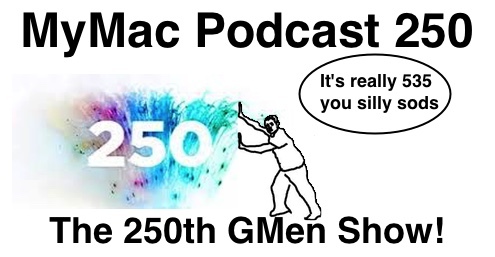 The GMen begin a multi-part discussion of why people switch from PCs to Macs and we have a new contest! YEAH! People’s pick: Serenak Assassin likes Instacast and wonders why they’re all called xxxxcast? FREE! 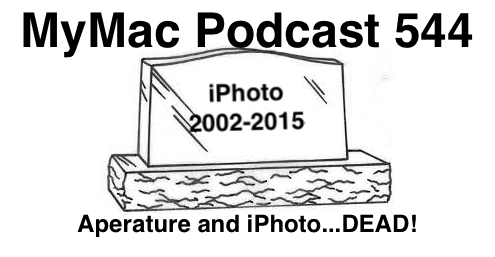 Gaz has trouble with Pages, iMac and Mac Pro envy, and Guy just has…trouble. They talk about Apple coming back from near death and how in the second section and generally there’s just more GMen tomfoolery on both sides. Guy’s App Pick: Apple’s very own “Grab” program. Nothing to buy or link to since it’s built in the Mac OS and lives in the Utilities folder. Can’t remember the keyboard shortcuts to do screen or window captures? Grab makes it easy. 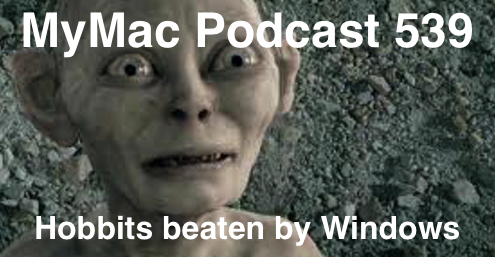 Gaz is mad at Apple and iTunes and Guy is mad at McIntosh County. Guy can’t manage to spend money with TMobile for an iPhone 5 and Gaz’s daughter has a lovely voice. What you can’t see how this all ties in with Apple? Guy’s App Pick: eCamm’s Skype Recorder $29.95. Not just for how well it works in recording Skype calls and messages, but for the great tools they include for splitting the calls and converting them into other formats.